Active and passive safety devices to warn people that we are on the road. 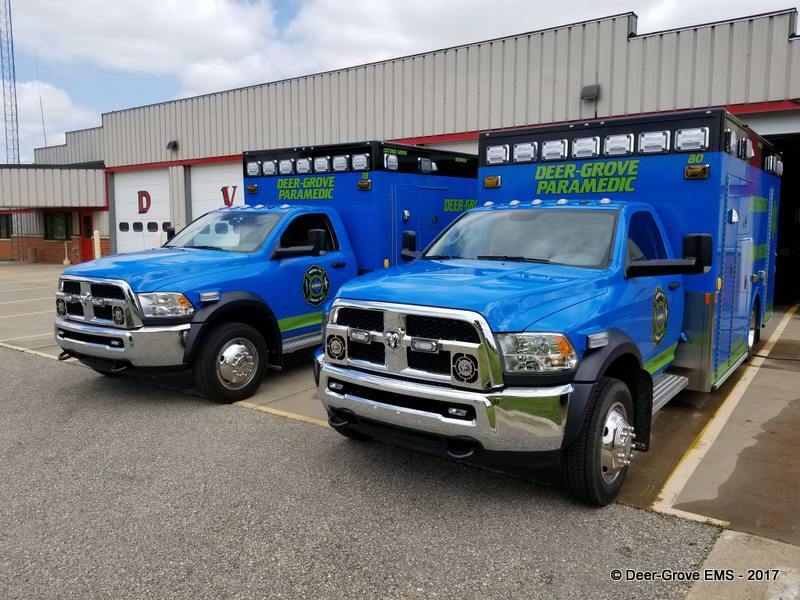 Much of the specialty equipment that was purchased for the new ambulances was made possible by a donation of $25,000 to the Deer Grove EMS Association from a local business to help outfit the new ambulances. Thank you to all that have made donations to the Association to help us provide such a high-level of care to our citizens and guests. 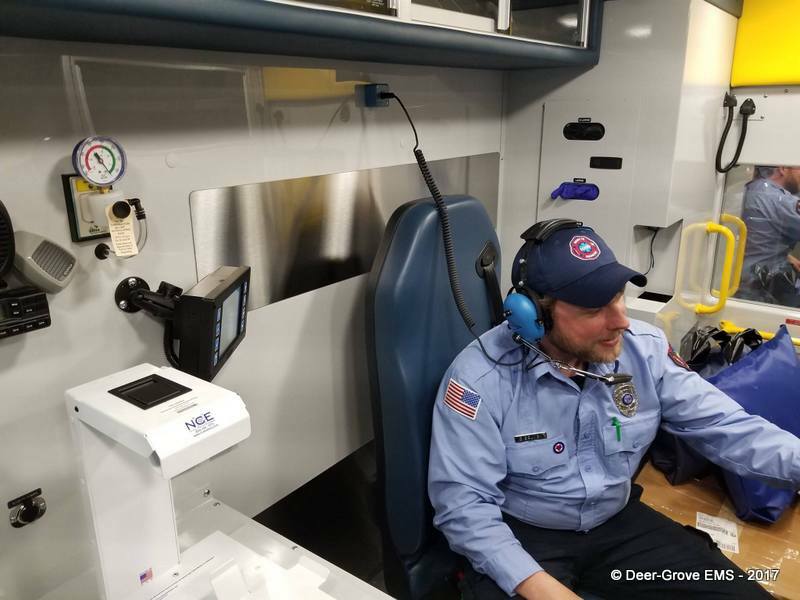 Also state-of-the art at the time it was purchased, Medic 81 now serves as our backup ambulance, called into service as needed to cover periods of maintenance for the other units and for special events. 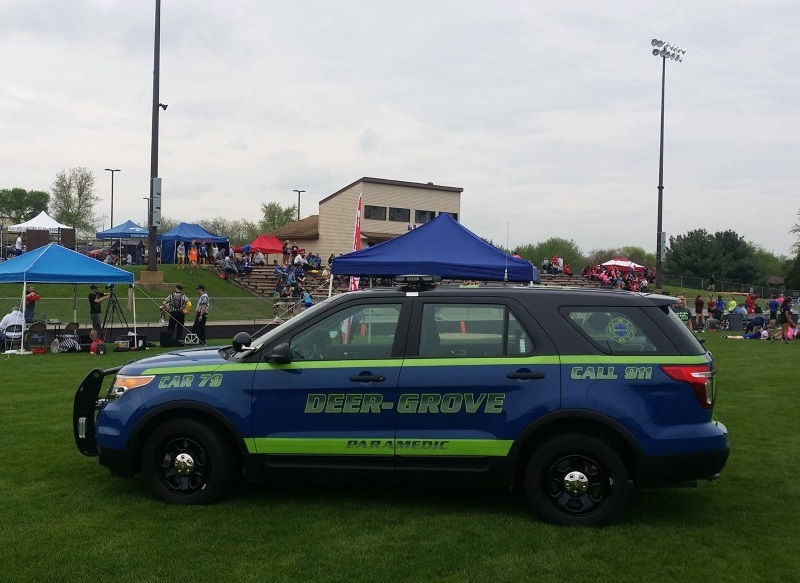 Known as Car 79, this 2013 Ford Interceptor is also fully ALS equipped. 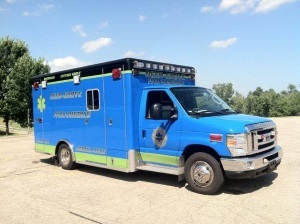 This vehicle is used for a wide variety of services, from Paramedic intercepts, to our Community Medic program, scene response, outreach and Bike Medic team deployment. 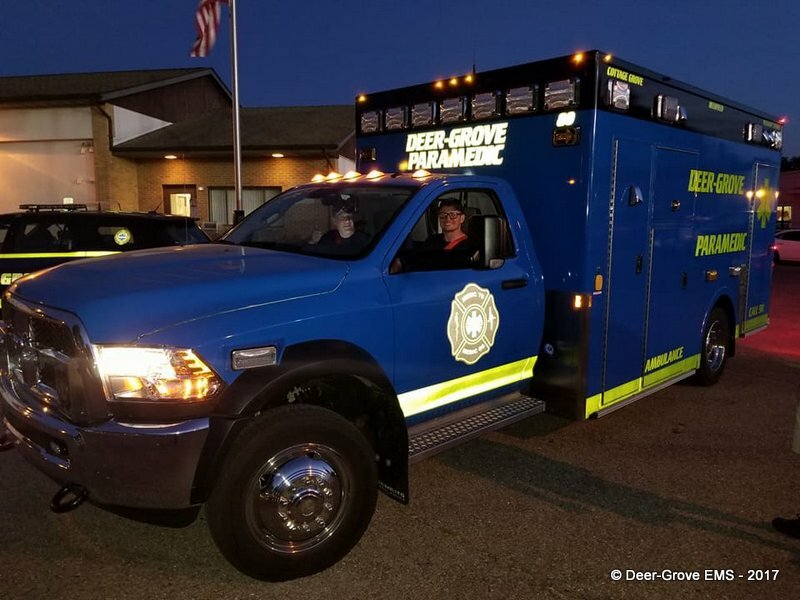 The Bike Team was made possible through a very generous donation of the DeGolier family in Deerfield, and is being supported by the DGEMS Association with additional funding. 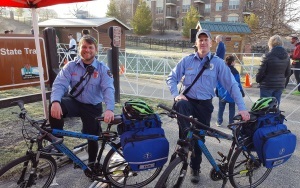 Be on the lookout for our Bike Team at festivals and other outdoor events.